It is a platform with a whats-app like interface for registering birth defects and bleeding disorders, and provides community support. The app allows patients to update bleeding incidences to the doctors treating them, hematologists and physiotherapists, helping them maintain accurate records.The doctors receive notification whenever one of their patients reports a bleed. This way, the doctor can administer an appropriate course of treatment without significant delays.The system also allows instant messaging and video consultation through smart phones. The app is available in Marathi, Hindi and English for quick user reference. A simple and secure app that is a one stop shop for remote monitoring and consultation by doctors, caregivers, nurses, and patients. 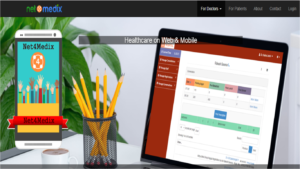 The platform supports features such as clear record of past medical history, e-prescriptions, remote follow-up consultations, referrals, lab & pharmacy collaborations.